Up to 20% DISCOUNT for all bookings made for the periods between April 15th – July 15th and August 20th – October 20th. 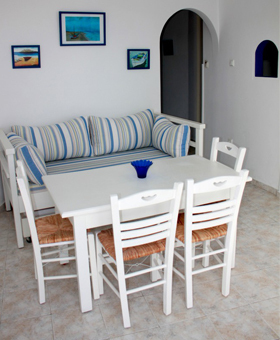 Welcome to Studios Lena in Skiathos. 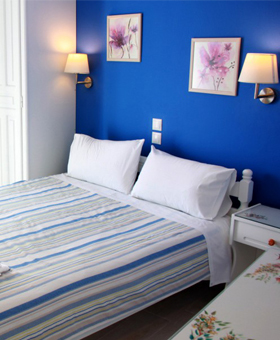 Studios Lena is a small family-run accommodation located on the southern slopes of Skiathos town, within the quiet & picturesque “Plakes” area, the most conserved and traditional area of Skiathos town, with stunning views across the Mediterranean. With just 5 guestrooms, you can be assured of a warm welcome and friendly, knowledgeable personal service throughout your stay with us. 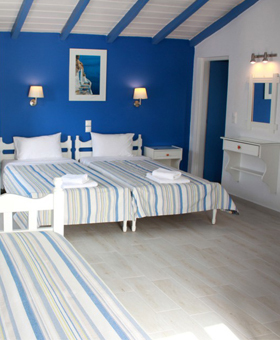 Each of our guest-rooms are individually decorated with a traditional mix of furniture and lighting and decorated with cool, classic Greek colour schemes. We have a range of rooms spread over the 2 floors of the building, from classic Doubles & larger Triples to the Apartment, all with balconies and stunning sea views, en-suite facilities and featuring Flatscreen LED TV, Wi-Fi, Air-condition, fully equipped kitchen with fridge, a powerful hair-dryer and toiletries and some with a host of extra touches.